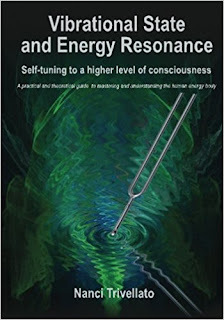 Many OBE authors, such as Robert Bruce, talk about the manipulation of non-physical energy as an important component for inducing OBEs and other altered states of consciousness. It's not a new concept: The Chinese call it "Chi" or "Qi" and have done exercises like Qi Gong and T'ai Chi Chuan for thousands of years. Yogis in India they have other exercises to cultivate it, such as Kundalini Yoga. Most of us also know that OBEs are often preceded by "The Vibrations" but what do we really know about them? What's the relationship between the Chi manipulation and the vibrations, and how do they fit together? 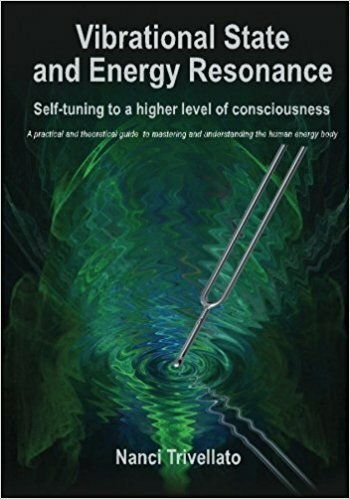 Author/teacher Nanci Trivellato of the IAC (International Academy of Consciousness, an international non-profit organization dedicated to the scientific study of consciousness) tries to answer these questions in her book Vibrational State and Energy Resonance. Last Spring, the author was kind enough to send me a copy of her book. Why haven't I reviewed it until now? Partly because (as I said in my last book review) I didn't spend much time reading last summer, but mostly, because it's huge. How big? It's almost 500 pages, and each page is larger than average. There's a LOT of information. That's not a bad thing, except it's highly technical and difficult to read, so I could only digest ten or fifteen pages at a time. In fact, it's so big, I may split this review up like I've done in the past. I feel conflicted about this book. (I guess I say that a lot, don't I?) On the one hand, this book contains a lot of very useful information. On the other hand, it's so technical that it's difficult to read. I told one guy it's like reading a car shop manual from cover to cover. Better yet, it's like reading a technical computer manual. (Believe me, I've read a lot of computer manuals cover to cover. Like the CDC Compass 6400 Assembly Language reference manual. Or the Pascal Language reference manual. They were highly entertaining to me back in 1979. Until I discovered OBEs. But I digress.) So this book is like a technical manual. Trivellato tries to take a very scientific approach. That's good. Unless you're a layman, or expect the book to entertain you. So you should go into it with the right expectations. A lot of the book is about VELO, an IAC acronym that stands for Voluntary Energetic Longitudinal Oscillation, which is a non-physical energy exercise designed to induce "The Vibrations," which they call the VS (short for the Vibrational State). How does it compare to other metaphysical energy systems? Robert Bruce, author of Astral Dynamics, condones a system much like the one taught in T'ai Chi Chuan and Qi Gong, where energy starts at the Tan Tien (the belly-button energy center/chakra, two inches below the navel) and is circulated down to the root chakra, then up the spine, over the top of the head, and back down through the third eye chakra, the heart chakra, and back to the Tan Tien to make a complete circle. Akhena (The "William Buhlman of France"), author of Out-of-Body Experiences recommends alternating the focus of the Chi between the root chakra ("The Fire") and the third eye chakra ("The Diamond"). With the IAC's VELO exercise, the energy is rapidly and repeatedly moved up and down the entire length of the body, creating an energy resonance. In other words VELO makes a smooth continuous sweep of the entire area from the top of your head to the soles of your feet. It's almost like you envision your body enclosed in a big tube, and the energy flows like sound waves up and down through the entire tube. NOTE: Trivellato spends a lot of time describing the technique technically and accurately, so if you just follow my description, you'll probably get it wrong. In my own OBE practice, I usually recommend you imagine your physical body is like an empty bottle with water sloshing back and forth. Except for the speed, this reminds me a lot of VELO, so VELO is not that different from my technique. I was surprised to find Trivellato references the writings of Robert Monroe, author of Journeys Out of the Body, as well as Waldo Vieira, with regard to some of the earliest writings about the vibrations. You can induce out-of-body experiences (something they call "Lucid Projections") through the VS, but that's only one of the many benefits of performing the VELO. So a lot of the book describes the benefits of using the VELO, the positive effects it has on personal energy and health, how to do it correctly, and so forth. Trivellato loves bulleted lists of everything, including benefits. Despite that, this book contains more IAC lingo than ever before. I've complained about this in at least two other book reviews. To give you an idea, the book contains a glossary of terms that spans from page 409 through 447! That's 38 pages of glossary defining IAC terms like thosene (an acronym for Thought + Sentiment/Emotion + Energy), which is basically like an thought-form or energetic imprint. Why do they need so many new terms? For starters, in the IAC world view, people have multiple vehicles of consciousness, similar to the teachings of Theosophy, but they call the physical body the "Soma," the astral body the "Psychosoma," the etheric body the "Energosoma," the mental body the "Mentalsoma," and so on. Put all of these vehicles of consciousness together and you get something they call the "Holosoma." Well, it's not quite that simple. Trivellato says that the Energosoma cannot be used as a vehicle of consciousness; that it's more or less an energy grid and foundation for the chakras and/or silver cord. Thank goodness I had read other IAC books, so I could actually understand what I was reading, because the AIC terminology quickly leads to complex and hard-to-follow discussions of Intraconsciential restructuring, self-vibrostasiometry, Morphothosenes, Xenothosenes, Energometry, and a whole lot of other words you won't find in any English dictionary. So I hope you experience despertopolis and retain your holosoma rather than desoma after you exit the cosmoconscientiarium! Okay, I've made my point. The book is all very technical. That does not mean it's bad, it's just not written for a layman. It is meant to be technical and informational, not entertaining. In other words, performing the VELO exercise helps you in many ways, including balancing your non-physical energies, protecting yourself from harmful energy influences, and so forth, presented like a technical manual. If you can do that--ignore the terminology and find the message conveyed--then it is good information. I do have a serious question, though: The IAC uses the prefix "para" to indicate the non-physical. So the astral body's brain is called the "parabrain." But the astral body itself is the "psychosoma." Why is that? Why don't they call it the parasoma? Or conversely, why don't they call the astral brain the "psychobrain?" I suppose that has too many bad connotations? The book is organized into multiple parts:Part 1 is "Foundations for the Study of the VS" and it basically gives you the basics of the AIC beliefs. Part 2 is "The Vibrational State Phenomenon" and it talks about the VELO, the vibrations and the phenomena associated with them. Part 3 is "The VELO Technique" and it's all about the subtleties of the VELO technique: How to do it properly, common mistakes, etc. Part 4 is "Attributes of the VELO." Part 5 is "Advanced Topics." On page 28 there is an interesting discussion of the IAC and how it all started with the teachings of prolific OBE author Waldo Vieira. The group of people who followed and tried to expand Vieira's work were more focused on out-of-body experiences (which they call "Projectiology"). Eventually the IAC's research, techniques and beliefs diverged from the other people who followed Vieira's work. I get the feeling the IAC is more science-based, and they're more focused on the study of consciousness and energy than the OBEs themselves. The bottom line is: According to Trivellato, regular practice of the VELO technique will help you maintain good energetic health, increase your amount of loose or free energy, as well as inducing the Vibrational State. I would have liked a more in-depth discussion about how the Vibrational State leads to and triggers OBEs, but that's about all she says about it. In my opinion, the biggest shortcoming of the book (besides all the technical lingo) is that it didn't spend enough time comparing the VELO to other metaphysical energy systems. Only a mention or two in passing. For example, I've read stern warnings about the improper use of Kundalini yoga that can lead to all kinds of negative (or at least powerful) energy sensations, like pain shooting up your spine, neck, or the top of your head. My T'ai Chi master (Sifu) used to warn us students about energy loss (and other dangers) if the Chi isn't moved in a complete circle, and only stopping at the Tan Tien. Robert Bruce similarly warns about energy conservation, storing the Chi there. I would have loved to read a nice long chapter about all that, but this book doesn't really say much about any of those things. It did, however, discuss the shortcomings of other offshoots of Waldo Vieira's work, and how VELO is a superior technique. That was a good discussion. After reading this book, I tend to think that in terms of electricity, circulating Chi is like DC (Direct Current) whereas the VELO is more like AC (Alternating Current): The reason our electrical grids all use AC is because AC travels better and DC causes too much power loss for long distances (and you can thank Nicola Tesla for that). Perhaps it's the same with Chi and maybe someday Nanci Trivellato will go down in history as the Nicola Tesla of OBEs. Only time will tell. Still, I guess I can't really argue with anything the author says, except her assertion that the energy body (what most people call the Etheric body, but the IAC calls the "energosoma") cannot be used as a vehicle of consciousness. But that's not a point worth arguing. As they say, the proof is in the pudding. In other words, if the VELO technique works, and doesn't cause negative energetic side-effects, then I'm all for it. I've been using it for a while now, and so far it's been beneficial, with no bad side-effects. I don't think I've used it long enough to give it a fair assessment. So I applaud Nanci Trivellato and the IAC for their contributions in helping us understand metaphysical energy/Chi and how best to manipulate it. The writing, organization, and grammar were outstanding. Top-notch professional. I really only found one mistake in the entire 494 pages. That's amazing. I'll give the book 3 out of 5 stars. I would have enjoyed it more if it had been only 200 pages, presented in layman's terms, and a lot less technical. But as I said, the book was meant to inform, not entertain. "I Can't Seem to Focus My Mind"
I hear this a lot: "I can't seem to focus my mind. Do you have any suggestions?" In order to self-induce an out-of-body experience from a conscious state (as opposed to transitioning from lucid dreaming, etc. ), you need to focus your mind down into a tiny pinpoint of awareness. It's like the old Zen Buddhist saying: "We cannot see our reflection in running water. It is only in still water that we can see." So you need to learn how to turn off all the noisy thoughts in your head. In my first book, I called it "quiescing" the mind. It starts with eliminating all the monkey-chatter inside your head and ends in crystal clear focus. But how do you do that? It's similar to concentration, but with concentration, you're directing your mind to a specific task: It's what neuro-scientists call "goal-directed task" thinking. What I mean by "focus" is not as goal-directed. Sure, your goal is to achieve an OBE, but it's more like shutting down and eliminating all thoughts and feelings until you become just an observer, and nothing more. Someone like Eckhart Tolle might call it "Being" instead of "Doing." I often describe it this way: Ordinarily, your mind--or conscious awareness--is like a balloon, but instead of air, it's filled with thoughts and feelings. 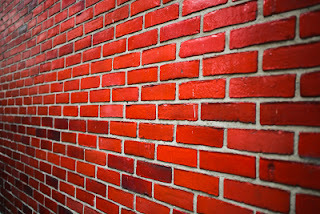 Trying to achieve an OBE is like trying to get that balloon to the other side of a huge impenetrable brick wall that's missing one brick: The only way to get to the other side is to deflate the balloon (reduce the number of thoughts and feelings) so it can fit through the hole. At the same time, it's also important not to let your mind wander (lose focus), or you'll simply fall asleep. This is the primary focusing technique I've taught in OBE classes (don't get your hopes up: I've only taught a few in the last 25 years). The idea is to pretend that an important sound is about to play, and so you listen for it intently. For example, if there is a flash of lightning, you might expect to hear the rumble of thunder within the next minute. Sometimes in my classes, I would dramatically turn on a sound system (like a boom box, PA system / Tannoy, etc. ), point to the music app on my phone (or other device) and say, "I'm about to play a sound for you, so close your eyes and listen." But then I wouldn't play anything. I'd just let them sit there for about a minute until they got suspicious. The point is: When you listen intently, you tend to focus your mind and shut out most of the stray thoughts. So just pretend to listen for a sound, with no expectations. That's non-goal-directed focus. Try to focus my mind entirely to visualize a thick white line on a black background. It doesn't matter if the line is vertical or horizontal. The line is maybe a foot and a half (half meter) long, and an inch (2cm) wide. (Note that this is a two-dimensional object because it has length and width). The line is just sitting out in front of you a couple of yards/meters. Hold that visualization stable for about 20 seconds. Pretend that the line narrows until it's very thin. Pretend that the dot slowly shrinks into nothingness and finally disappears until it's absolutely nothing, so you're left with a blank visualization, staring into nothingness. I also call this the "Television Turn Off" technique because to me, this is like a much slower and longer version of this video of an old fashioned television turn-off effect. There's one more important key to this puzzle. 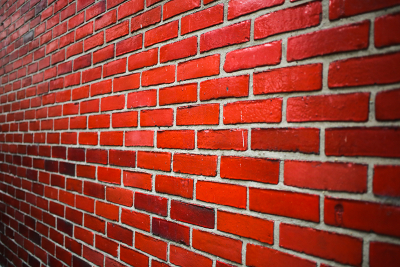 At this point, you might be asking yourself, "How am I supposed to get my balloon (of awareness) through the hole in the brick wall if my mind is completely quiesced and not goal-directed?" That's where your subconscious enters into the equation. Pretend your non-physical body is floating weightlessly inside your physical body, like gentle waves on a lake that never stop, or like a bottle half-filled with water that is rocking back and forth, causing the water inside to slosh around. Tell yourself that this gentle weightless floating will continue always, no matter what; even if you fall asleep. Step 4: Perform one of the focusing techniques above. What should happen is that your awareness should shrink to a tiny size, and the affirmed gentle rocking/sloshing should give you momentum to leave the body. What often happens to me is that as my mind shrinks, the rocking tends to increase automatically until I'm in propelled into the out-of-body state.